Everyone's heard of Limerick, but truth be told not too many people visit. Ireland's not short of pretty spots with good access to the country's scenic heartlands, but if you like a friendly, riverside city featuring plenty of medieval and Georgian architecture and with views over a majestically dilapidated Norman castle, then Limerick is for you. Our pick of the best places to stay in Limerick is situated in the heart of the city, with easy access to all its best bits. Frank McCourt's Angela's Ashes shared Limerick's tough side with the world, but it's been made over since then and many of the old and beautiful buildings are now looking their best again. In Limerick the newer buildings really complement the historic ones, and it feels like a living city, with plenty of cultural activity. One of Limerick's best known Georgian treasures is No. 2 Pery Square, one of a row of six houses built in 1838, and now carefully restored. 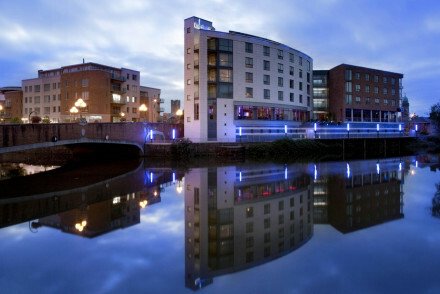 It's also very conveniently located for one of the best places to stay in Limerick, which is right next door! If you're at all interested in sport check out Thomond Park, proud home of Munster Rugby Club. If you've never experienced a rugby game this is definitely the place to try it. As well as King John's Castle, built in 1205, Limerick's historic treasures include St. Mary's Cathedral, which is even older, and the much younger (18th century) Bishop's Palace. If you're interested in architecture the Living Bridge is unmissable. Built by the crew behind the Eiffel Tower and Statue of Liberty, this 350 metre long footbridge crosses the River Shannon at the University of Limerick. Limerick's Hunt Museum has one of Ireland's finest collections of Bronze Age and Iron Age treasures, whilst the Limerick Gallery of Art has an immersive collection, with special focus on local artists, and a charming location right by the People's Park at the heart of Georgian Limerick. If you're visiting in the busy summer months then be sure to book ahead as the best places to stay in Limerick can get filled up pretty quickly. No 1 Pery Square is a beautiful townhouse in a row of beautiful townhouses. From the outside it doesn't look as if it could fit 19 generous sized, luxuriously furnished rooms and one suite, but it does. No. 1 Pery Square also has a spa and a well-respected brasserie serving French influenced Irish classics. Adare Manor is a truly dreamy stay. Offering opulently romantic suites in a tranquil countryside setting, there's also a golf course on site as well as a spoiling spa. Tuck into award-winning cuisine and feel a million miles away from all your worries. Limerick's nicest weather wise in the summer, with the average daily temperature rising to 16°C in July and August. So, you're probably best off visiting around this time. Shannon Airport is the nearest place to fly into, located 25km west of Limerick. There are a number of daily flights from the UK, Europe and certain US destinations. Ryanair fly from Gatwick and Stansted, whilst Aer Lingus go from Heathrow and Edinburgh. From the airport, take the bus or a cab on to your final destination in Limerick. Browse through our list of all the best places to stay in Limerick. 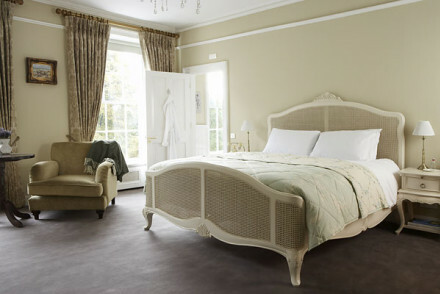 Widen the net to include our recommendations for the best places to stay in Galway, Cork or Dublin. As part of one of the world's most successful luxury hotel chains, the Savoy Hotel in Limerick is an excellent five-start establishment. Featuring plush rooms, an excellent restaurant and an extensive spa. Sights nearby - Visit the nearby Treaty Stone, an icon of Irish history. Local markets - Five minutes walk from the Milk Market. Impressive townhouse hotel in one of Ireland's finest Georgian squares. 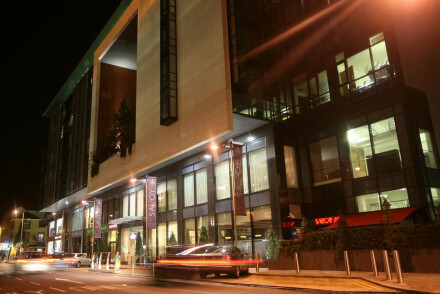 Nineteen traditional yet stylish rooms and one suite offer city centre luxury accommodation in the heart of Limerick. Holistic organic spa for pampering and well respected brasserie serving French influenced Irish classics. Sights nearby - Situated in the heart of Limerick's Georgian quarter, close to all major attractions.